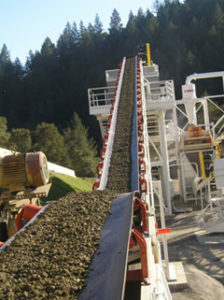 In 2006 BoDean Company invested in over $3 million to install a self-contained closed loop washing system at its Mark West Quarry. Background: Prior to 2006, sand within Sonoma County was in short supply. For environmental reasons, sand was no longer being extracted from terraces along the Russian River. Therefore BoDean Co was in the position of purchasing sand from British Columbia, Canada (sand is a necessary ingredient in asphalt and concrete production). Shipping and hauling sand over such great distances is neither sustainable, nor responsible. However, in order to manufacture sand, it takes a tremendous amount of energy and water. Dirt, silt and clay need to be washed from the sand leaving muddy water behind (normally left in large settling ponds). 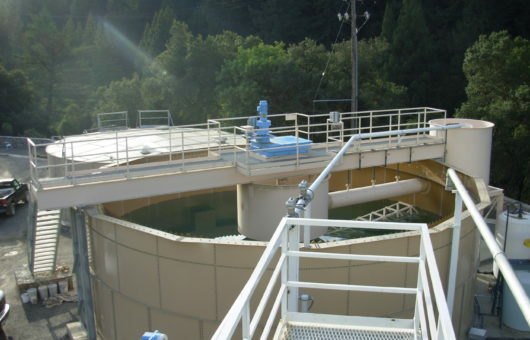 In 2005 BoDean came across a dewatering and water recycling technology that was underway in Europe and not being used anywhere in North America. 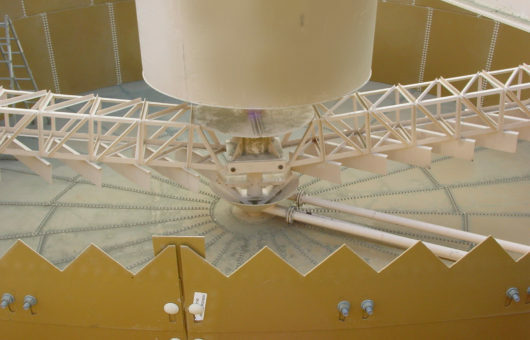 BoDean opted to install a Phoenix HiFlo circular thickening plant and an overhead beam Diemme recessed-plate-frame filter press to capture and reclaim as much 99% of the water used in the wash process. This type of system at the time was the first and only in North America. Today, it is becoming more and more in use within the mining industry. Due to these measures, and with the addition of solar to run the operation, this system is able to responsibly produce enough sand to meet the needs for concrete and asphalt production in the Santa Rosa and Napa areas without having to import it from faraway places. 99% of water is recycled in the washing process for water conservation, nor is any processed water discharged to our creeks or streams. 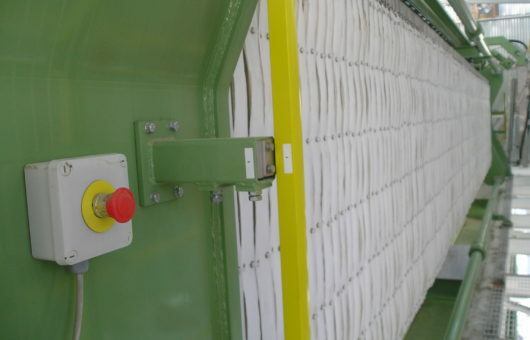 This plant eliminates the need to import PCC (Portland Cement Concrete) aggregates and sand from faraway places like British Columbia, Canada, thereby reducing GHG emissions, and increase local sustainability usage and increased profitability.